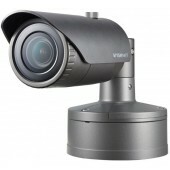 Samsung/Hanwha Techwin meets today's demand for ip camera products with a full line of ip cameras cameras. Our new line introduces 3 Megapixel ip cameras cameras in full HD resolution and other great features such as WDR (Wide Dynamic Range), SSDR (Samsung Super Noise Reduction), smart codec and more. 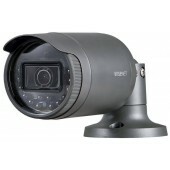 Our line of ip cameras come fully equipped with hybrid capabilities. These hybrid ip cameras make it easy to switch from analog to IP camera nnetwork when your company is ready to make the move. 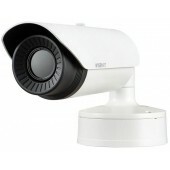 2M 32x Network Explosion-proof Camera. Max. 2megapixel (1920 x 1080) resolution. Max. 60fps@2M all resolutions. 4.44 ~ 142.6mm (32x) optical zoom, 16x digital zoom. 0.15Lux@F1.6(color), 0.015Lux@F1.6(B/W). H.264, MJPEG dual codec, Multiple streaming. 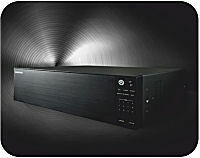 Day & Night (ICR), WDR (120dB). Face detection, Tampering, Virtual line support. Explosion-proof certificate : CE2460 EX II 2 GD Ex d IIC T6 Gb IP67 Ex tb IIIC T85°C Db. Stainless 316L, Built-in Wiper. IP67, IK10. Max. 640 x 480 resolution support. Built-in 13mm fixed lens. H.265, H.264, MJPEG codec. Max. 30fps@all resolutions (H.265, H.264, MJPEG). Motion detection, Handover. Tampering, Loitering, Directional detection, Audio detection, Sound classification, Shock detection, Temperature change detection. SD / SDHC / SDXC memory slot (Max. 256GB). Hallway View, WiseStreamII support. PoE, 24V AC, 12V DC. IP66, NEMA4X, IK10. Max. 640 x 480 resolution support. Built-in 19mm fixed lens. H.265, H.264, MJPEG codec. Max. 30fps@all resolutions (H.265, H.264, MJPEG). Motion detection, Handover, Tampering, Loitering. Directional detection, Audio detection, Sound classification. Shock detection,Temperature detection, Hallway view. SD / SDHC / SDXC memory slot (Max. 256GB). WiseStreamII support. PoE, 24V AC, 12V DC. IP66, NEMA4X, IK10. Max. 640 x 480 resolution support. Built-in 35mm fixed lens. H.265, H.264, MJPEG codec. Max. 30fps@all resolutions (H.265, H.264, MJPEG). Motion detection, Handover. Tampering, Loitering, Directional detection, Audio detection, Sound classification, Shock detection, Temperature change detection. SD / SDHC / SDXC memory slot (Max. 256GB). WiseStreamII support. PoE, 24V AC, 12V DC. IP66, NEMA4X. Max. 640 x 480 resolution support. Built-in 13mm fixed lens. H.265, H.264, MJPEG codec. Max. 30fps@all resolutions (H.265, H.264, MJPEG). Motion detection, Handover, Tampering, Loitering. Directional detection, Audio detection, Sound classification. Shock detection,Temperature detection, Hallway view. SD / SDHC / SDXC memory slot (Max. 256GB). WiseStreamII support. PoE, 24V AC, 12V DC. IP66, NEMA4X, IK10. Max. 640 x 480 resolution support. Built-in 19mm fixed lens. H.265, H.264, MJPEG codec. Max. 30fps@all resolutions (H.265, H.264, MJPEG). Motion detection, Handover. Tampering, Loitering, Directional detection, Audio detection, Sound classification, Shock detection, Temperature change detection. SD / SDHC / SDXC memory slot (Max. 256GB). Hallway View, WiseStreamII support. PoE, 24V AC, 12V DC. IP66, NEMA4X, IK10. Max. 640 x 480 resolution support. Built-in 19mm fixed lens. H.265, H.264, MJPEG codec. Max. 30fps@all resolutions (H.265, H.264, MJPEG). Motion detection, Handover. Tampering, Loitering, Directional detection, Audio detection, Sound classification, Shock detection, Temperature change detection. SD / SDHC / SDXC memory slot (Max. 256GB). WiseStreamII support. PoE, 24V AC, 12V DC. IP66, NEMA4X, IK10. Max. 2megapixel (1920 x 1080) resolution. Built-in 6mm fixed lens . Max. 30fps@all resolutions (H.264). H.264, MJPEG codec supported, Multiple streaming. Day & Night (ICR), WDR (120dB). Tampering, Motion detection. Micro SD/SDHC memory slot (Max. 32GB), PoE. Hallway view, WiseStreamII support. IR viewable length 30m. IP66 support. Max. 2megapixel (1920 x 1080) resolution. Built-in 3mm fixed lens. Max. 30fps@all resolutions (H.264). H.264, MJPEG codec supported, Multiple streaming. Day & Night (ICR), WDR (120dB). Tampering, Motion detection. Micro SD/SDHC memory slot (Max. 32GB), PoE. Hallway view, WiseStreamII support. 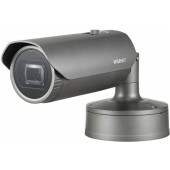 IR viewable length 30m. IP66 support. extraLUX (world's best low light camera). Max. 2megapixel (1920 x 1080) resolution. 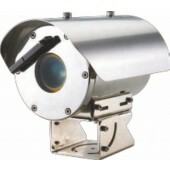 4.1 ~ 16.4mm (4x) motorized varifocal lens. Max. 60fps@all resolutions (H.265/H.264). H.265, H.264, MJPEG codec supported, Multiple streaming. Day & Night (ICR), WDR (150dB), Defog. Digital image stabilization with built-in Gyro sensor. Loitering, Directional detection, Fog detection, Audio detection, Digital auto tracking, Sound classification, Tampering. Motion detection, Handover. SD/SDHC/SDXC memory slot (Max. 512GB). Hallway view, WiseStreamII support. IR viewable length 70m, IP67/IP66, NEMA 4X, IK10. LDC, PoE / 24V AC, 12V DC, Bi-directional audio support. 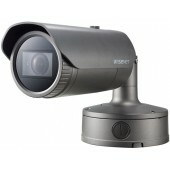 2M Network IR Bullet Camera. 2.8 ~ 12mm (4.3x) motorized varifocal lens. Max. 60fps@all resolutions (H.265/H.264). Day & Night (ICR), WDR(150dB), Defog. Loitering, Directional detection, Fog detection, Digital auto tracking, Sound classification, Tampering. Motion detection, Handover. Dual SD slots (Max. 512GB). Hallway view, WiseStream II support. 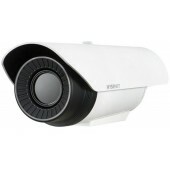 IR viewable length 50m, IP67/IP66, NEMA 4X, IK10.